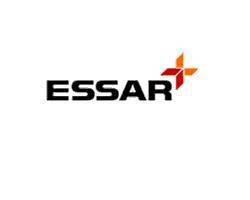 Mumbai: Essar Shipping Ports & Logistics Limited (ESPLL) which is a part of Essar Group today held its Committee of Directors (Demerger Committee) meeting and announced the completion of the demerger process. The committee fixed 19th May 2011 as the record date. ESPLL announced that the company has received all the approvals hence the completion of the process. The company also announced the new management structure for the two companies once they are listed on exchange. Post demerger, the present company will be split into two entities – Essar Ports Ltd and Essar Shipping Ltd. While the current company (ESPLL) will become Essar Ports Ltd, the Shipping, Logistics and Oilfield businesses will be spun off into a separate company called “Essar Shipping Ltd”. The Share Capital will be split in a ratio of 2:1. For every 3 shares held of ESPLL, shareholders will get 2 shares of Essar Ports Ltd and 1 share of Essar Shipping Ltd. ESPLL, which has a share capital of Rs 615 crore, will start trading as Essar Ports with reduced capital of Rs 410 crore and the balance Rs 205 crore will form the share capital of Essar Shipping Ltd which will list subsequently. This reduction will take place after record date. Essar Shipping Ltd is expected to get listed separately around June end after completing the formalities of listing. Accordingly the Scheme has become effective on May 09, 2011 and the transfer of the assets and liabilities of Essar Ports & terminals (EPTL) and Essar International Limited (EIL) shall stand vested unto the Company with effect from September 30, 2010 (the Amalgamation Appointed Date) and the transfer of the assets and liabilities of the Demerged Undertakings shall stand vested in Essar Shipping Limited with effect from October 01, 2010 (the Demerger Appointed Date). Mr. Rajiv Agarwal will be the Managing Director of Essar Ports Limited. Mr. K.K. Sinha will be the CEO and Mr. Shailesh Sawa will be the CFO of Essar Ports Limited. Mr. A. R. Ramakrishnan will be the Managing Director of Essar Shipping Limited once it is listed. The company will include the Sea transportation business, Oilfield services business and the Logistics business. Capt. Anoop Sharma will be the CEO of the Sea Transportation business, Mr. Ankur Gupta will be the CEO of the Oilfields business, Mr. Rahul Himatsingka will be the CEO of the Logistics business and Mr. Vikram Gupta will be the CFO of Essar Shipping Limited. The Ports company will be second largest private sector port company in India with 88 MTPA of current capacity, with a target to reach 158 MTPA by 2013. The existing port capacity of 88 MMTPA includes 58 MMTPA at Vadinar and 30 MMTPA at Hazira. The company has a clear vision for ongoing and under development projects which will see ports capacity reaching 158 MMTPA by 2013. The company has committed Rs 9,300 crore towards this business, of which Rs 6,150 crore has already been invested. Most of the current capacity and a sizeable portion of the proposed capacity are backed by long-term take or pay contracts, which not only ensures sustained capacity utilization, but also gives very good visibility on future earnings. Essar Shipping Limited will be the second largest Shipping and Oilfields Services Company in the private sector. The Shipping business has a diversified fleet of 26 vessels, including VLCCs, capesizes, Supramaxes, mini bulk carriers and tugs. The company has placed orders for 12 new ships, which are expected to join the fleet over the next 24 months. A sizeable part of the capacity is deployed on long-term contracts and COAs, insulating the company from the volatility of spot markets. The Oilfields Services business provides contract drilling services to oil & gas companies across the globe. This business owns one semi-submersible rig and 12 land rigs. The company has ordered two new jack-up rigs, which will be joining the fleet over the next 18 months. The Logistics business provides end-to-end logistics services – from ships to ports, lighterage services to plants, intra-plant logistics and dispatching finished products to the final customer. This business owns transshipment assets to provide lighterage support services, and onshore & offshore logistics services. It manages a fleet of over 5,000 trucks for inland transportation of steel and petroleum products.